This week we wanted to give you a little bit of a break from all the sad news around. We know you already care about women empowerment and development in Africa simply because you are here on our page, so we know your heart is in the right place. Now let's talk about ways to make sure your body is too. Oreos have tons of calories. This might not be a revelation but we found it so incredible that sometimes the tiniest of snacks can pack enough calories to throw us off course on our diets. We have learnt that maybe it’s better to have tons of delicious grapes rathen than 2 sad, old biscuits. We have learnt a lot of lessons from the women on our projects and one of them is going back to basics and eating fresh produce. Please see the infographic below on what 100 calories look like. Home cooked all the way. OK, this has been hard as none of us here is a chef, but cooking at home gives us control of ingredients and makes us aware on exactly we are eating. Making meals at home and bringing them in means healthier AND cheaper meals for the whole week. Consider this, a little bag of plantain chips here in the UK will set you back £0.70. Ok, that’s not too bad but you can buy 3 whole plantains from the market at £1.00 and you control the cooking process. So instead of frying them you can bake or boil your plantain for a lighter option. I have always used coconut oil for my hair and skin but since I started working at Ripples we have been introduced to black soap. I am not about to overestimate the effect of these in my life, skin feels baby soft. ; and the eye-opening experience at my first experience using shea butter. I love eating cake myself . They have a special place in my heart and tummy so I am always keen to find ways to make my cake eating habits less unhealthy. A friend recently introduced me to vegan brownies and they were delicious coconutty parcels of joy so I have attempted my own non vegan version with coconut oil. There are tons of ways to make food healthier like swapping cream for yogurt in cooking or biscuits for nuts. All in all! We have learned one thing, natural is always better whether that is in food or healthcare. If like us, you are attempting a healthier more natural regime there are a couple of things you can do now. Get yourself some fresh vegetables and fruit. Go to our Akomi page to check our natural range of skin care. Smile! It’s not all doom and gloom. If the women on our projects can give us a big smile so can you! Since the start of the conflict in 2009, more than 20,000 people have been killed, countless women and girls abducted and children drafted as suicide bombers into Boko Haram. Up to 2.5 million people fled their homes, 2.2 million of whom are internally displaced and 187,126 crossed into neighbouring countries of Cameroon, Chad and Niger. Boko Haram stronghold is the North; anyone not complying with their very violent, inhumane view of the Koran is at risks. Whether they are of muslim faith or not. 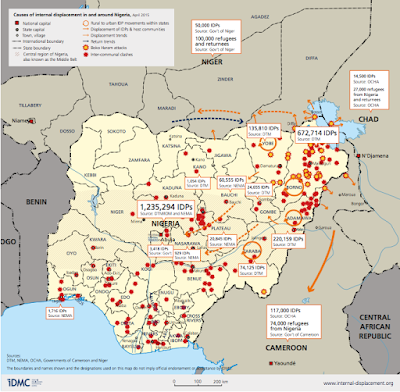 According to the Internal displacement Monitoring Centre (IDMC) estimates that there are almost 2,152,000 internally displaced people (IDPs) in Nigeria as of 31 December 2015. It is hard to determine exact paths of displacement but there has been a doubling of the population in certain areas from the influx of displaced persons from the north east where violence is ripe. Maiduguri, in Borno state, an already deprived area is currently facing difficulties providing for the influx of IPDs. 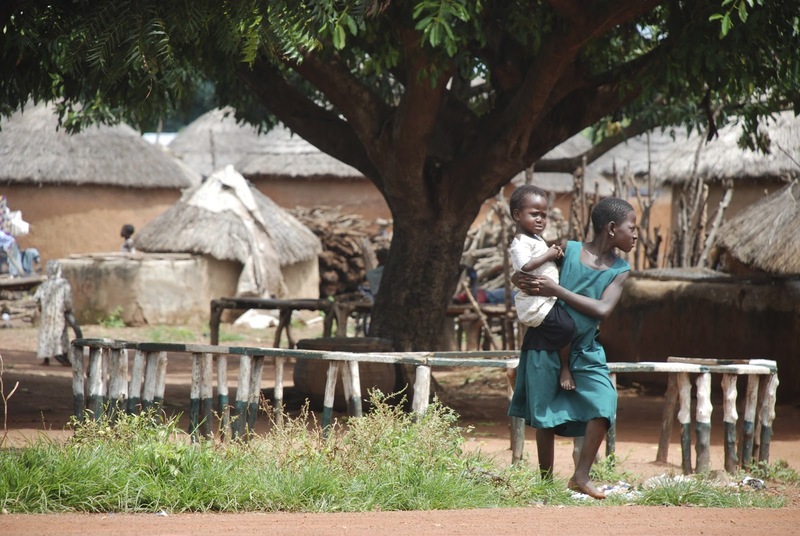 IDP camps have been set up there to receive victims of conflict. Whilst international attention has tended to focus on Boko Haram’s brutality, inter-communal conflicts, flooding, desertification and forced evictions have also caused significant internal displacement. Although insufficient, both the Nigerian authorities and the international community have focused disproportionately on north-east Nigeria. This leaves other already deprived areas in the south to fend for themselves. From projects on ground we receive reports of incredible hikes in food prices and fluctuating currency that makes it hard to budget. The situation in Nigeria is difficult and ever changing, what is important is to remember that when the cameras are turned off people stay behind. 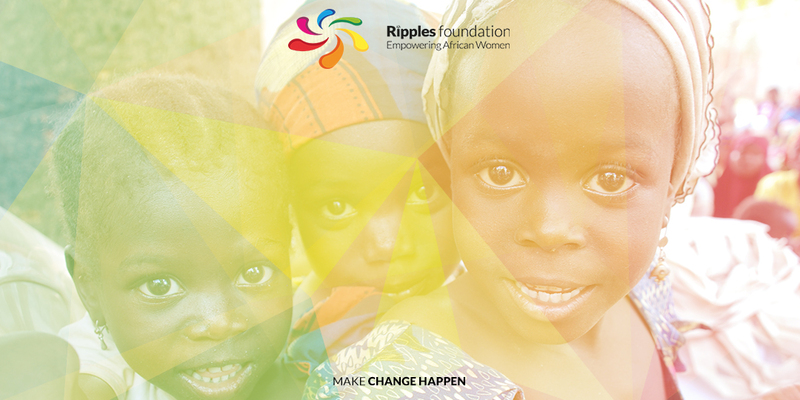 We at ripples do what we can, we know it can never be enough but we try to do our bit for Nigeria. If you wish to help us please donate via our Total Giving Platform.